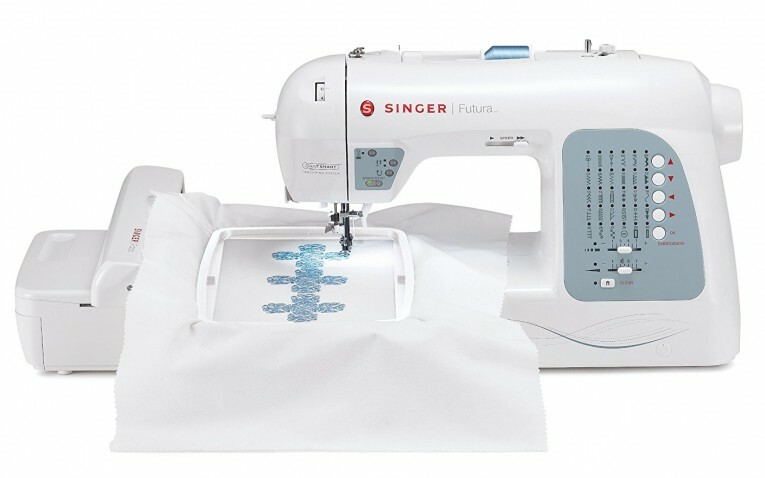 The SINGER® FUTURA XL-400 has all it takes to grow your creativity regarding sewing gradually. It’s truly an undisputed leader on the market, as other manufacturers are working their brains off, to match the excellent performance of this computerized sewing and embroidery machine. This machine suits any project from fashion works to personalizing, spicing up or adding beautiful appliques to various wardrobe elements. We are here to present you with everything you need to know regarding this sewing and embroidery machine. First, it’s good to let you know that no complex computer interfaces are featured in the SINGER® FUTURA XL-400 Computerized sewing and embroidery machine. However, you can still choose to connect it to a Windows computer or a laptop through a good USB cable. Secondly, the SINGER® FUTURA XL-400 isn’t engineered to work with super-thick upholstery but comes with an extra-high presser foot lift to let you work with a broad range of fabrics. Matching other computerized and sewing machines in the FUTURA collection, the SINGER® FUTURA™ XL-400 also features an extra-broad sewing area and an ultra-long bed to offer ultimate convenience to its user. Starting and gradually advancing in sewing and embroidery has never been this easy. With a superior and well sort combination of various presser feet, standard accessories as well as multiple hoops, this machine is all you need to achieve incomparable success in this field. 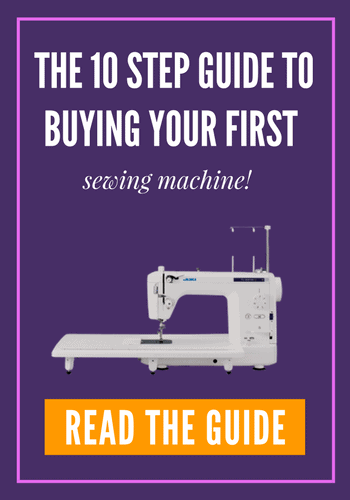 Whether you are a beginner looking for an easy to learn sewing and embroidery machine, or an advanced sewer looking for versatility and flexibility, this machine suits you appropriately. Straining your eyes to monitor the sewing or embroidery process is eliminated in this machine through the featured 6 Stay Bright LED lights that illuminate the sewing space appropriately. For embroidery, the SINGER® FUTURA™ XL-400 comes pre-installed with 125 embroidery designs with outline lettering and five fonts to spoil you with endless embroidery possibilities. Also, the featured multi-hooping function allows for developing large models about four times the default hoop size. What are the Benefits of using the SINGER® FUTURA™ XL-400 Sewing and embroidery machine? Two accessory trays: the convenient accessory tray fitted about the detachable extension table allows for convenient utilization of the extras while the other accessory storage installed in the embroidery section provides easy access to the embroidery tools. What Others are Saying About the SINGER® FUTURA™ XL-400 Sewing and embroidery machine? As we review the Singer XL-400, its average consumer rating on Amazon stands at 3.3/5.0 stars. Despite having many positive reviews, some of its users still pointed out areas that need improvement. Some people were dissatisfied by its limited accessories. Others say that unit was shipped broken. Fortunately, most of its reviewers were satisfied by its general performance. When used appropriately, this machine serves with minimal or no disappointments. Key Benefits to using the SINGER® FUTURA™ XL-400 Sewing and embroidery machine ? Durable: The heavy duty metal frame in the SINGER® FUTURA™ XL-400 sewing and embroidery machine guarantees its durability. What’s more, the durable metal frame holds the functional mechanisms correctly for skip-free embroidery and sewing throughout the life span of this sewing machine. Ease of use: The SINGER® FUTURA™ XL-400 sewing and embroidery machine is engineered to drive out work from the regular sewing and embroidery tasks. Through its incredible features like the SwiftSmart threading system and an automatic needle threader, among others, you will not have to work your hands off while sewing or embroidering. You will enjoy utilizing this straightforward and easy to use machine. 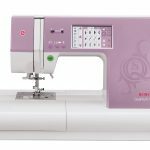 Reasonably Priced: At less than $600, hardly will you find any other sewing and embroidery machine designed to offer excellent performance as the Singer XL-400. The singer manufacturing concentrates on providing the best quality computerized sewing and embroidery machines at an affordable rate to all sewing and embroidering enthusiasts. What types of sewing projects can the SINGER® FUTURA™ XL-400 Sewing and embroidery machine be used for? The SINGER® FUTURA™ XL-400 Sewing and embroidery machine suits all types of projects including quilting. It’s, mostly, recommended for the advanced sewers as it’s ideal for large projects. Unless you want to get the ultra-high-end embroidery machines, this one should serve all your projects right. You can now grow your expertise in the sewing and embroidery arena, through this computerized machine that will never disappoint.